When can we go back for more Paris magic? Your jaw WILL drop when you see the breathtaking Chagall ceiling at the Opera Garnier. Mine did and I kept sneaking back to see it again. I went on a little Julia Child tour (Her memoirs, My Life in France, are some of my favorite biographical reading ever). I found her apartment on "Rue de Loo!" at 81 rue de l'Université (Anyone else a huge fan of Julie & Julia?) 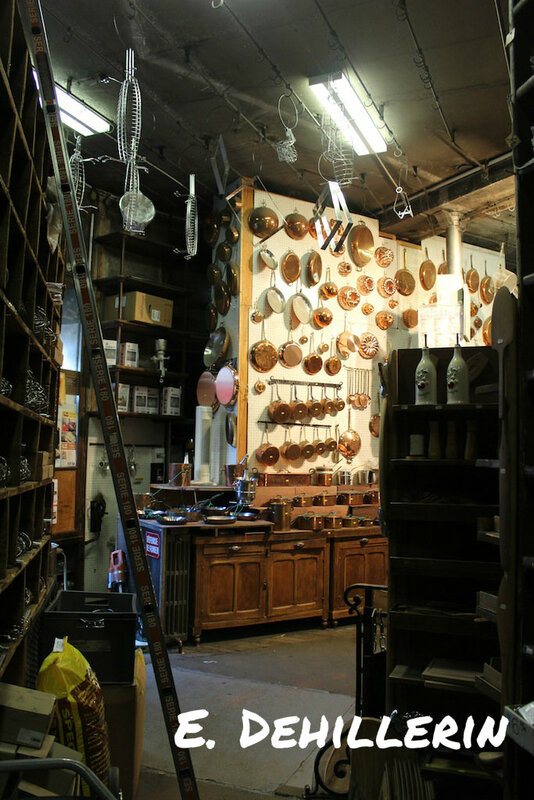 and shopped at E. Dehillerin, which she loved for copper pots. E. Dehillerin is a little confusing. If you want to buy a copper pot, this is the place to do it. I had no spare room for a heavy copper pot, but maybe one day. Look for the folders of prices in random corners. You won't find them on the actual products. No matter what, it's fun to browse. There are Kayser bakeries all over the city that serve the best baguettes. I like mine "pas bien cuit" (not well done). There are two Kaysers now in New York City but it just tastes better in Paris, of course. Oh Le Bon Marché. If I could live within your storied, gorgeous walls, I would. Don't miss the Grand Epicerie food hall. It was actually designed by Gustav Eiffel and the entire place is just stunning. Markets...all of them! There are so many, but I especially love the Sunday organic market on Blvd Raspail and the Avenue du President Wilson market in the 16th arr. Download Rick Steves' audio tour of the Musée d'Orsay before you go (it's free on iTunes podcasts)- it's about an hour and is a great intro tour if you haven't been before. Some items were moved when I went, so the audio didn't quite match up but it's easy to orient yourself. Or you can just go and stare at this room - it used to be a train station. Both the Rodin Museum and its gardens are just so lovely (and the outdoor seating at the cafe is a nice place to while away some time). Feel like being a hotel stalker? Do as I do and march into the Four Seasons George V like you're staying there (I wasn't!) for absolutely gorgeous public areas. The flowers in the lobby are legendary and designed by one of my favorites in the industry, Jeff Leatham. Have some tea (or your favorite adult beverage! or both!) at Le Bar (yes, that is "the bar") or order a snack in Le Galerie Lounge. It really doesn't get old to see the Eiffel Tower around the corner, just like it doesn't get old to see the Empire State Building in NYC. There is still a little thrill every time I see one of these city icons. For an inexpensive lunch with a view, head to the top of Printemps department store. You might get lost getting there, but press on. You'll go up what feels like 20 escalators and when you get there, you'll eat cheap but decent cafeteria food with a view of all of Paris (yes the Eiffel Tower!). This helpful piece details the dining options at Printemps - you want the Panoramic Terrace. 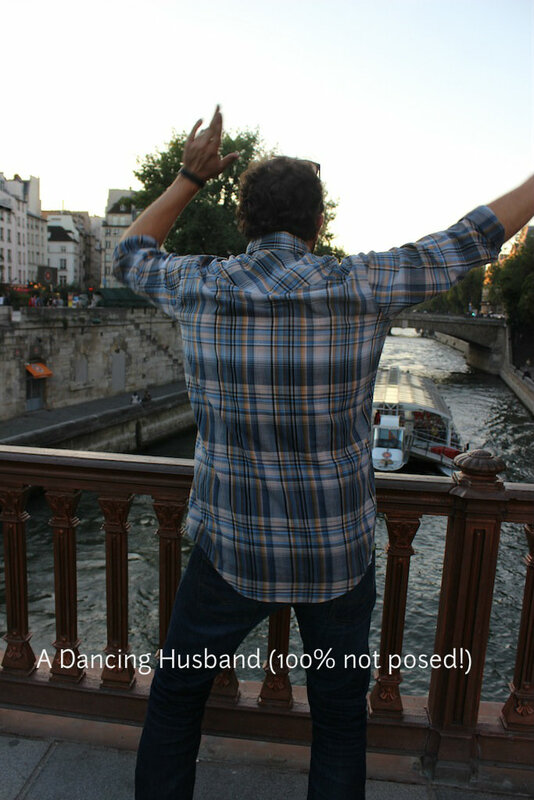 Paris just makes my husband want to dance - he is the best wedding guest ever because of his dancing. Truly!